One of the most fundamental questions in our life is to find out what we value - what principles we want to live by and which codes we will use to guide our behaviour. Most of us want to live a 'good life'. But what, in today's secular society, does 'good' actually mean? To classical Greeks, the acquisition of knowledge, the enjoyment of the senses, creativity and beauty were all aspects of life to strive for. Then came the volcanic declarations of St Paul and his fundamentalist ideas on sin and human nature. In WHAT IS GOOD?, A.C Grayling examines these and other proposals on how to live a good life, from the 'heroic' ideals of the Greek poets to Kant's theories on freedom and the UN Declaration of human rights. 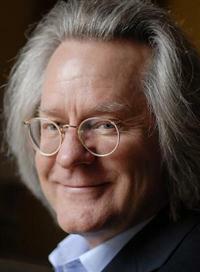 A.C. Grayling is Master of the New College of the Humanities, London, and a Supernumerary Fellow of St Anne's College, Oxford. Until 2011 he was Professor of Philosophy at Birkbeck College, University of London. He believes that philosophy should take an active, useful role in society. He is the author of many books, including The Meaning of Things and Towards the Light: The Story of the Struggles for Liberty in the Modern West, and has been a regular contributor to The Times, Financial Times, Observer, Independent on Sunday, Economist, Literary Review, New Statesman and Prospect. He has been a Booker Prize judge and is a frequent and popular contributor to radio and television programmes, including Newsnight, Today, In Our Time, Start the Week and CNN news. Item Added: What is Good?